Weak in history? Well here's a way to learn history easily and in a fun way. Read the Culture Course to improve your learning. This set of books are a lot like the Purna Vidya series that were mentioned in the April edition. The Culture Course series narrate around 15 stories in each book. Based on each story there are 6-7 questions. 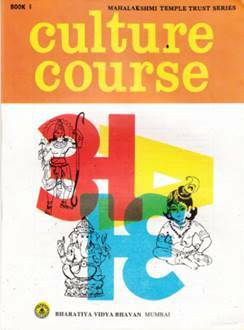 There is only one difference between the Purna Vidya series and the Culture Course. Purna Vidya mostly talk about stories from the Ramayana and Mahabharata whereas the Culture Course books narrate stories about folk tales, Mahabharata and Ramayana stories, stories about great rishis, the foundation of holy places, rituals, etc. These books talk a lot about the holy places in India and rituals performed there. They also talk about stuff from different religions. These books teach you a lot about Hindu culture and at the same time they are very interesting. I enjoy reading and answering the questions in this series.